Congratulations on purchasing your new Printy Inkbuddy 4000! The Inkbuddy 4000 is the perfect addition to any office, study or dining area and we are confident that its modern design and elegant lines will provide hours of endless pleasure. 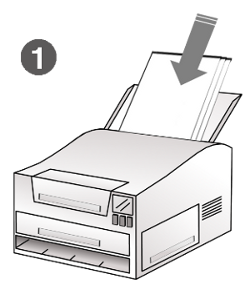 In the unlikely event that you actually want to use it for printing, we recommend that you observe the following instructions for the best results. 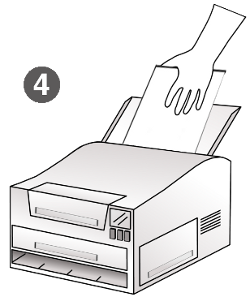 Insert paper into feed tray, ensuring that it is aligned with the paper guides, and select print on your PC or device. 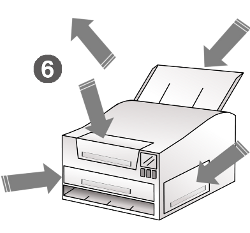 Please do not load more than three sheets into the feed tray at any one time as this will confuse the printer and invalidate the warranty. 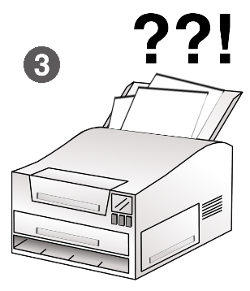 Wait for approximately three minutes while nothing happens, then press print again. Press print two or three more times just for luck. 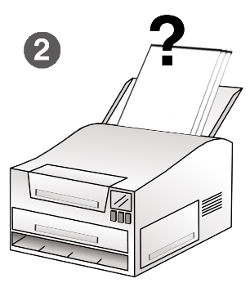 The printer will then suddenly draw two sheets of paper from the feed tray at an angle. These will then immediately become crumpled and jam the machine. Remove paper and start again. This time, put only one sheet into the feed tray, press print and hold onto it as it is fed into the machine to keep it straight. This will ensure that it is drawn smoothly into the printer before becoming entangled in the internal roller and jammed under the print head. At this point a number of lights will probably be flashing and you may see an error message displayed on the screen. These will be of no help whatsoever. Open the rear access panel and remove any jammed paper. Open the side access panel and remove any jammed paper. Open the front access panel and remove any jammed paper. 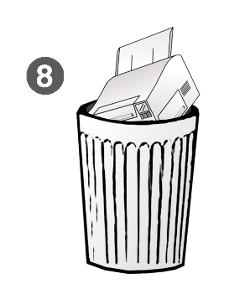 You will by now have removed roughly four times as much paper as you fed into the machine in the first place. 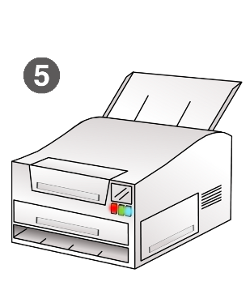 If the printer is still registering a paper jam error - which it will be - open the secret access panel and remove the remainder of the paper. Note: the secret access panel is not present on all models. We are not at liberty to tell you whether it is present on your machine, or where you can find it. 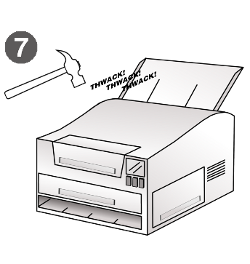 If the printer is still registering a jam, apply moderate pressure to the exterior casing. You may find it helpful to issue a series of encouraging statements, expressions of mild frustration or oaths. If the previous steps have failed to yield positive results, you may wish to consider upgrading to the Inkbuddy 5000 which boasts a scanner, dual paper feeds and a slightly longer power cord.